Since integrating in 1982 Nga Tawa Diocesan School has been governed by two separate Board of Trustees. The Nga Tawa Diocesan Trust Board is a charitable trust. It it the proprietary board which owns all land and buildings within the school. This board is responsible for the governance of school facilities and ensuring Nga Tawa retains its special character. This board includes four appointed trustees, representatives from the Nga Tawa Old Girl’s Association, Parents and Friends Association and a representative of the Bishop of Wellington. The Nga Tawa Board of Trustees operates under Ministry of Education guidelines. It is responsible for governance of the day school and curriculum. 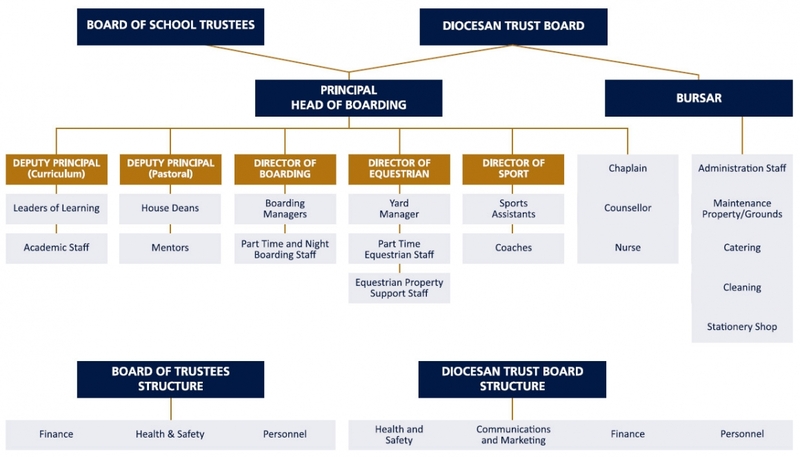 This board includes 5 parent representatives, the principal, a representative each from the staff and student body and 4 appointed Trustees from the Diocesan Trust Board. The Boards collaborate on Strategic Plans and key appointments. To view our 2017 BOT audited accounts click here.